Antarctica - the frozen continent. It is hard to think of a place on Earth that is less hospitable to life. Yet life does exist here and some of it is botanical. Though few in number, Anarctica’s diminutive flora is able to eke out an existence wherever the right conditions present themselves. It goes without saying that these plants are some of the hardiest around. It is strange to think of Antarctica as having any flora at all. How many descriptions of plant families and genera say something to the effect of “found on nearly every continent except for Antarctica.” It didn’t always used to be this way though. Antarctica was once home to a diverse floral assemblage that rivaled anything we see in the tropics today. Millions upon millions of years of continental drift has seen this once lush landmass positioned squarely at Earth’s southern pole. Situated that far south, Antarctica has long since become a frozen wasteland of sorts. The landscape is essentially a desert. Instead of no precipitation, however, most water in this neck of the woods is completely locked up in ice for most of the year. This is one reason why plants have had such a hard time making a living here. That is not to say that some plants haven’t made it. In fact, a handful of species thrive under these conditions. When anyone goes looking for plants in Antarctica, they must do so wherever conditions ease up enough for part of the year to allow terrestrial life to exist. In the case of this frozen continent, this means hanging out along the coast or one of handful of islands situated just off of the mainland. Here, enough land thaws during the brief summer months to allow a few plant species to take root and grow. The flora of Antarctica proper consists of 2 flowering plant species, about 100 species of mosses, and roughly 30 species of liverwort. The largest of these are the flowering plants - a grass known as Antarctic hair grass (Deschamsia antarctica), and member of the pink family with a cushion-like growth habit called Antarctic pearlwort (Colobanthus quitensis). Whereas the hair grass benefits from being wind pollinated, the Antarctic pearlwort has had to get creative with its reproductive needs. Instead of relying on pollinators, which simply aren’t present in any abundance on Antarctica, it appears that the pearlwort has shifted over to being entirely self-pollinated. This seems to work for it because if the mother plant is capable of living on Antarctica, so too will its clonal offspring. By far the dominant plant life on the continent are the mosses. With 100 species known to live on Antarctica, it is hard to make generalizations about their habits other than to say they are pretty tough plants. Most live out their lives among the saturated rocks of the intertidal zones. What we can say about these mosses is that they support a bewildering array of microbial life, from fungi and lichens to protists and tardigrades. Even in this frozen corner of the world, plants form the foundation for all other forms of life. The coastal plant communities of Antarctica represent hotbeds of biodiversity for this depauperate continent. They reach their highest densities on the Antarctic Peninsula as well as on coastal islands such as south Orkney Islands and the South Shetland Islands. Here, conditions are just mild enough among the various rocky crevices for germination and growth to occur. Still, life on Antarctica is no cake walk. A short growing season, punishing waves, blistering winds, and trampling by penguins and seals present quite a challenge to Antarctica’s botanical denizens. They are able to live here despite these challenges. Still, humans take their toll. The Antarctic Peninsula is experiencing some of the most rapid warming on the planet over the last century. As this region grows warmer and drier each year, plants are responding accordingly. 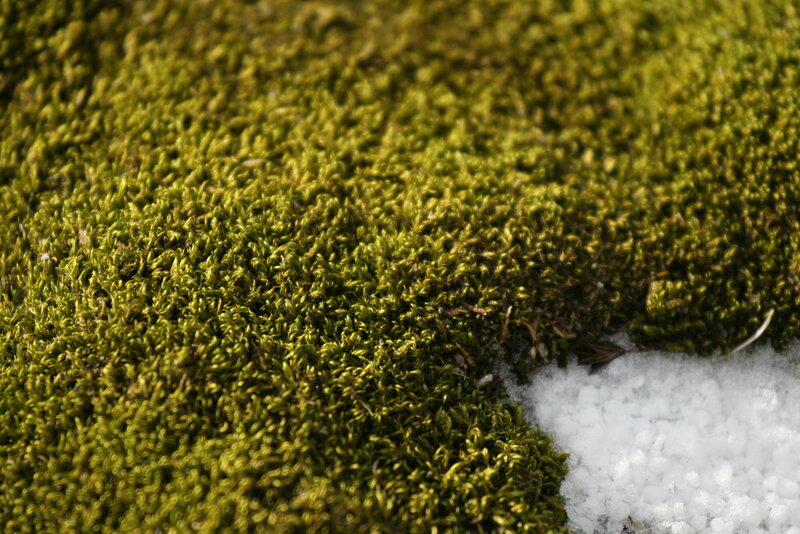 Antarctic mosses along the peninsula are increasingly showing signs of stress. They are starting to prioritize the production of protective pigments in their tissues over growth and reproduction. Moreover, new species of moss are starting to take over. Rapid warming and drying of the Antarctic Peninsula appears to be favoring species that are more desiccation tolerant at the expense of the continents endemic moss species. Changes in the structure and composition of Antarctica’s moss beds is far from being a scientific curiosity for only bryologists to ponder. It is a symptom of greater changes to come. The immense beauty and grace of the yellowwood (Cladrastis kentukea) is inversely proportional to its abundance. 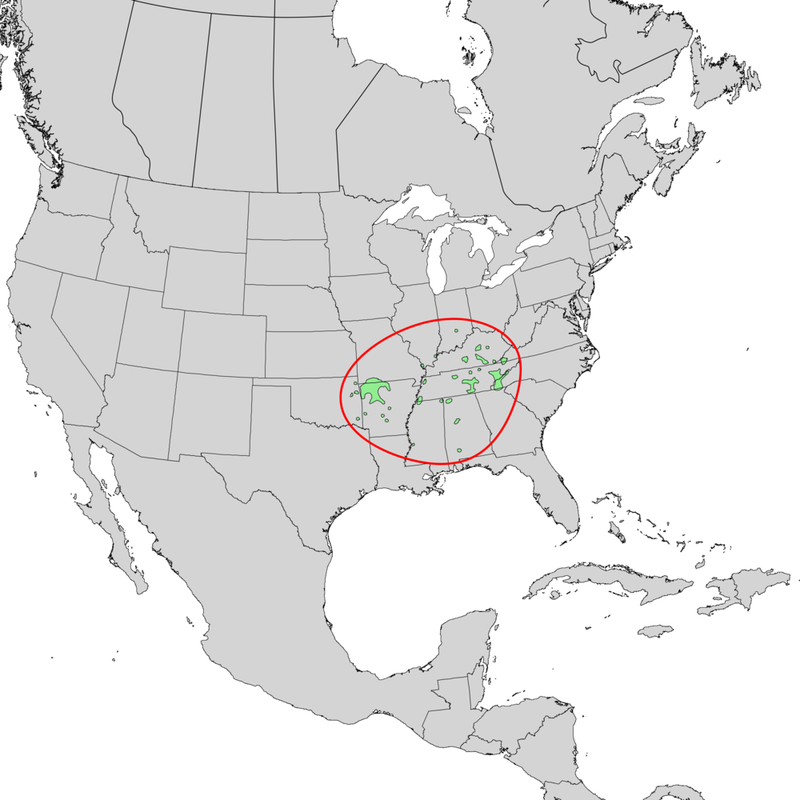 This unique legume is endemic to the eastern United States and enjoys a strangely patchy distribution. 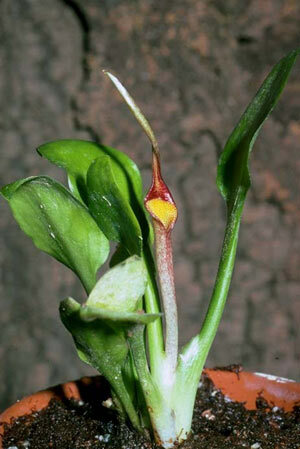 Its ability to perform well when planted far outside of its natural range only deepens the mystery of the yellowwood. The natural range of the yellowwood leaves a lot of room for speculation. It hits its highest abundances in the Appalachian and Ozark highlands where it tends to grow on shaded slopes in calcareous soils. 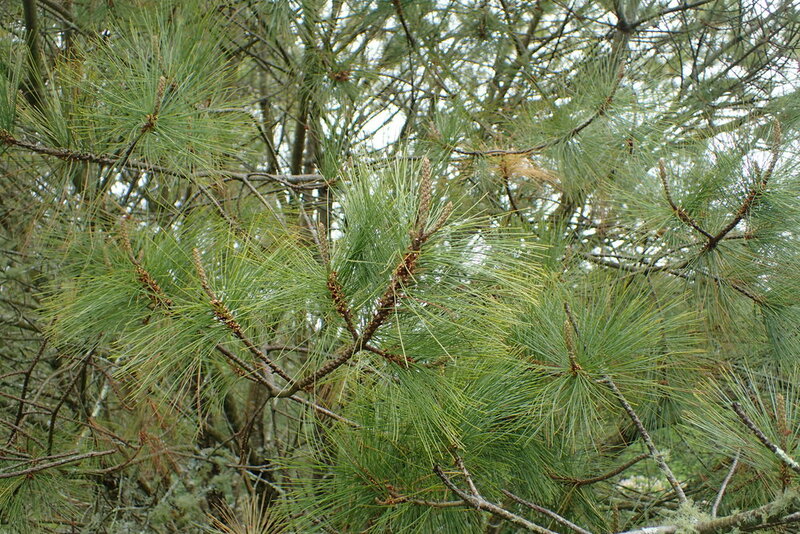 Scattered populations can be found as far west as Oklahoma and as far north as southern Indiana but nowhere is this tree considered a common component of the flora. Though the nature of its oddball distribution pattern is open for plenty of speculation, it is likely that its current status is the result of repeated glaciation events and a dash of stochasticity. 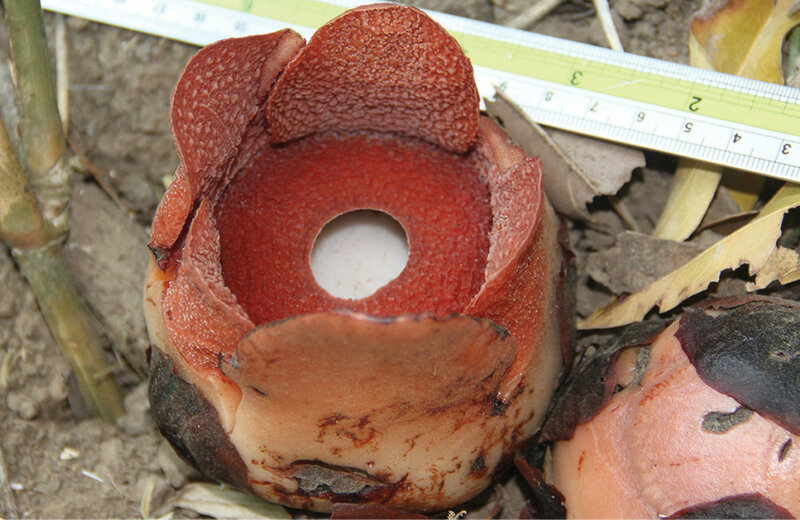 The presence of multiple Cladrastis species in China and Japan and only one here in North America is a pattern shared by multiple taxa that once grew throughout each continent. A combination of geography, topography, and repeated glaciation events has since fragmented the ranges of many genera and perhaps Cladrastis is yet another example. The fact that yellowwood seems to do quite well as a specimen tree well outside of its natural range says to me that this species was probably once far more wide spread in North America than it was today. It may have been pushed south by the ebb and flow of the Laurentide Ice Sheet and, due to the stochastic nuances of seed dispersal, never had a chance to recolonize the ground it had lost. Again, this is all open to speculation as this point. Despite being a member of the pea family, yellowwood is not a nitrogen fixer. It does not produce nodules on its roots that house rhizobium. As such, this species may be more restricted by soil type than other legumes. Perhaps its inability to fix nitrogen is part of the reason it tends to favor richer soils. It may also have played a part in its failure to recolonize land scraped clean by the glaciers. Yellowwood's rarity in nature only makes finding this tree all the more special. It truly is a site to behold. It isn't a large tree by any standards but what it lacks in height it makes up for in looks. Its multi-branched trunk exhibits smooth, gray bark reminiscent of beech trees. Each limb is decked out in large, compound leaves that turn bright yellow in autumn. When mature, which can take upwards of ten years, yellowwood produces copious amounts of pendulous inflorescences. Each inflorescence sports bright white flowers with a dash of yellow on the petals. It doesn't appear that any formal pollination work has been done on this tree but surely bees and butterflies alike visit the blooms. The name yellowwood comes from the yellow coloration of its heartwood, which has been used to make furniture and gunstocks in the past. Whether growing in the forest or in your landscape, yellowwood is one of the more stunning trees you will find in eastern North America. Its peculiar natural history only lends to its allure. Southwestern Australia is home to a wonderful and unique flora. A combination of highly diverse, nutrient-poor soil types, bush fires, and lots of time have led to amazing adaptive radiations, the result of which are myriad plant species found nowhere else in the world. One of the most incredible members of southwestern Australia's flora is the grassplant (Kingia australis). 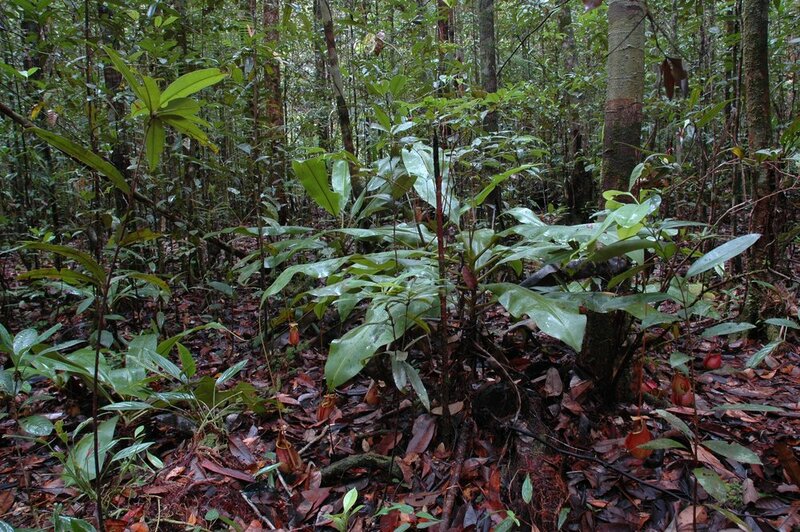 Like all plants of this region, it is one hardy species. The taxonomic history of the grassplant has been a bit muddled. As its common name suggests, it was once thought to be a type of grasstree (genus Xanthorrhoea), however, its resemblance to this group is entirely superficial. 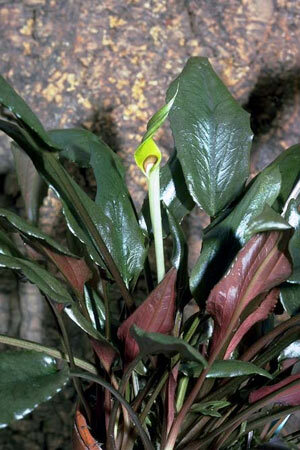 It has since been placed in the family Dasypogonaceae. Along with three other genera, this entire family is endemic to Australia. Growing in southwestern Australia presents lots of challenges such as obtaining enough water and nutrients to survive and for the grassplant, these have been overcome in some fascinating ways. The way in which the grassplant manages this is incredible. Its trunk is not really a true trunk but rather a dense cluster of old leaf bases. Within this pseudotrunk, the grassplant grows a series of fine roots. Research has shown this to be an adaptation to life in a harsh climate. Because water can be scarce and nutrients are in short supply, the grassplant doesn't take any chances. Water hitting the trunk is rapidly absorbed by these roots as are any nutrients that come in the form of things like bird droppings. Coupled with its underground roots, the grassplant is able to eek out a living in this dry and impoverished landscape. That being said, its life is spent in the slow lane. 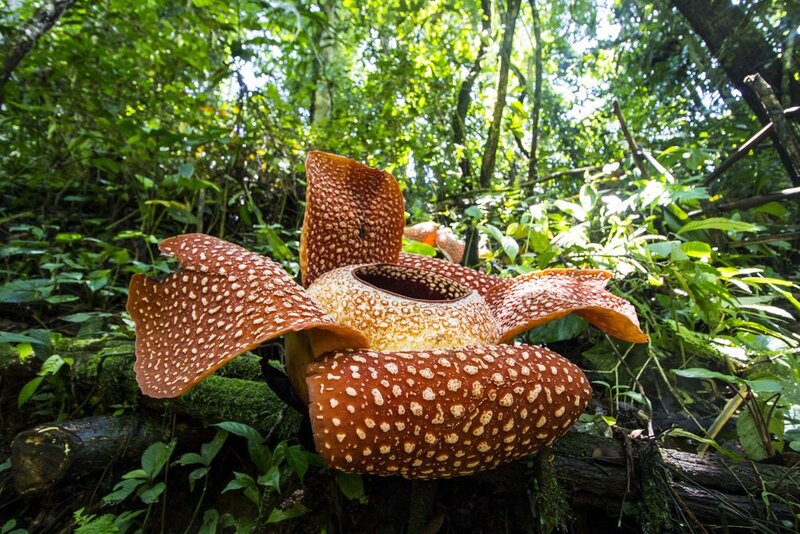 Plants are very slow growing and estimates place some of the larger individuals at over 600 years in age. Its amazing how some of the harshest environments can produce some of the longest lived organisms. As you can probably imagine, reproduction in this species can also be a bit of a challenge. Every so often, flower clusters are produced atop long, curved stems. Their production is stimulated by fire but even then, with nutrients in poor supply, it is not a frequent event. 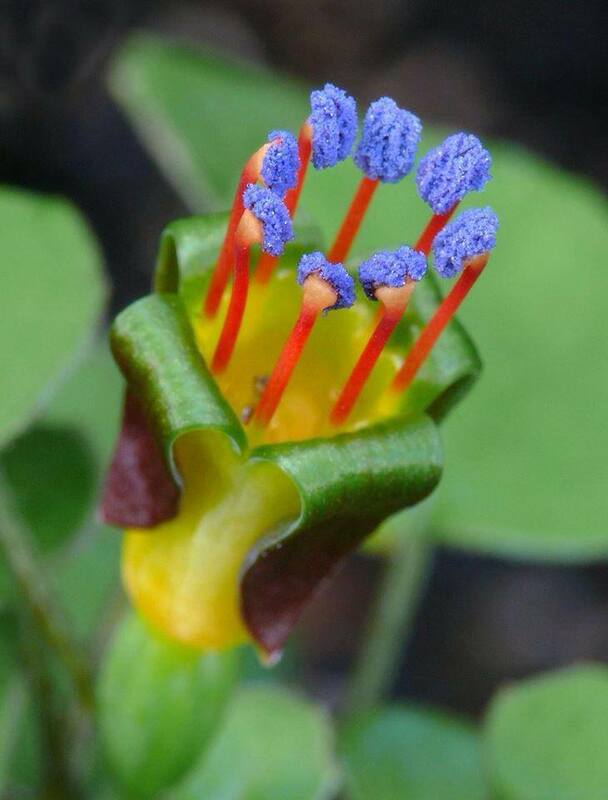 Some plants have been growing for over 200 years without ever producing flowers. This lifestyle makes the grassplant sensitive to disturbance. 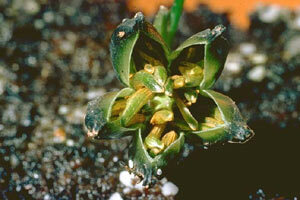 Recruitment is limited, even in good flowering years and plants take a long time to mature. That is why conservation of their habitat is of utmost importance. For flowering plants, entering into an evolutionary relationship with birds as pollinators can be a costly endeavor. It can take a lot of energy to coax birds to their blossoms. On the whole, bird pollinated flowers are generally larger, sturdier, and produce more nectar. They tend to invest heavily in pigmentation. The plants themselves are often more robust as well. Unlike hummingbirds, which usually hover as they feed, other nectar-feeding birds require a perch. Often this is simply a stout branch or a stem, however, a plant endemic to South Africa takes bird perches to a whole new level - it grows one. Meet the rat's tail (Babiana ringens). 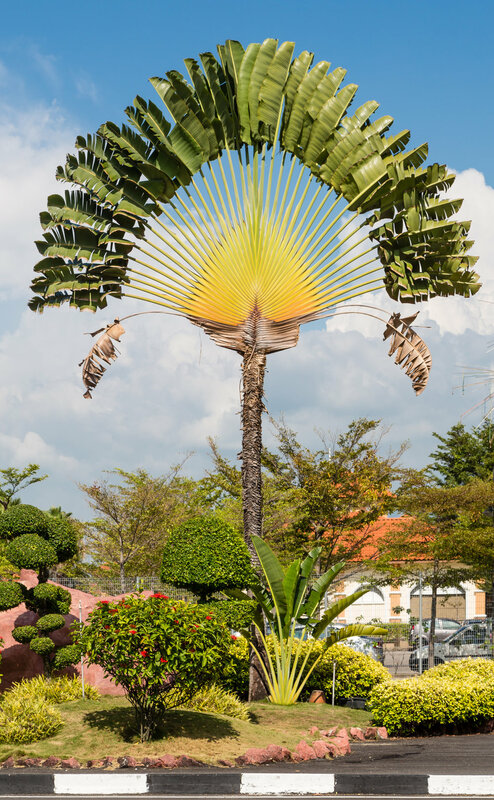 Though not readily apparent, this bizarre looking plant is a member of the iris family. It is endemic to the Cape Province of South Africa where it can be found growing in sandy soils. 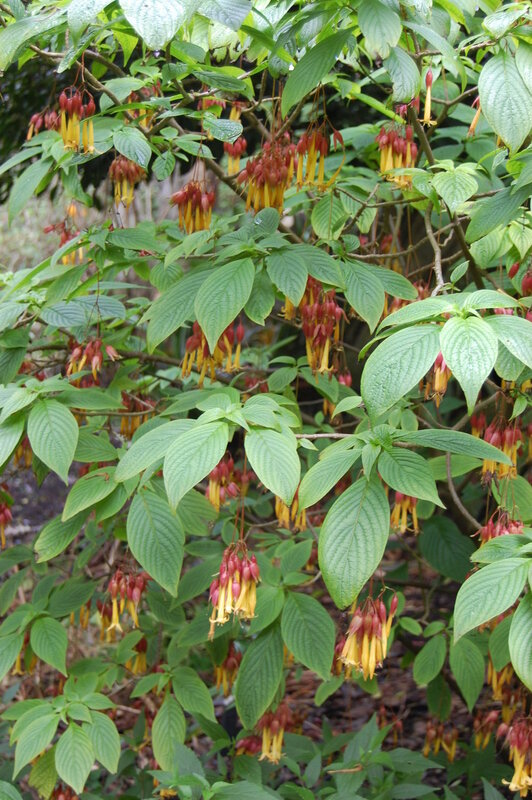 It produces a fan of erect, grass-like leaves and, when conditions are right, a side branch full of red tubular flowers. This is when things get a bit strange. From that flowering stalk emerges a much longer stalk that is said to resemble the tail of a rat, earning this plant its common name. This stalk rises well above the rest of the flowers. If you look closely at the tip of this stalk you will quickly realize this is yet another flower stalk, though this one is sterile. Such a stalk may seem like a strange structure for this plant to produce until you consider its pollinators. The rat's tail has entered into an evolutionary relationship with a species of bird known as the malachite sunbird (Nectarina femosa). To access the nectar within, the malachite sunbird can't simply walk up to and shove its face down into the flowers. Instead, it must access them from above. To do so, it perches itself on the rigid sterile flower stalk. Once in position, the malachite sunbird can dip its long, down-curved beak directly into the flowers. This is exactly what the plant requires. In this perched position, pollen is brushed all over its chest. Researchers wanted to know how obligate this relationship really was. By removing the perch on selected plants, they were able to demonstrate a reduction in pollination success . Specifically, male sunbirds were less likely to visit plants without the perch stalk. Although these plants are capable of self pollinating, like any sexually reproducing organism, outcrossing is the key to success. By offering the birds a sturdy perch allowing them exclusive access to their nectar, the plants guarantee sunbird fidelity. There are some plants that are so ubiquitous in horticulture that I almost forget that they have wild constituents. Every plant in our gardens can trace its lineage back to the wild. As is often the case, I find the wild congeners of our most beloved horticultural curiosities to be far more fascinating. Take, for instance, the genus Narcissus. Who doesn't recognize a daffodil? The same cannot be said for their wild cousins. In fact, there exists some pretty fantastic species within this genus including a small handful of species that flower in autumn. A unique fall flowering daffodil is a species known scientifically as Narcissus viridiflorus. 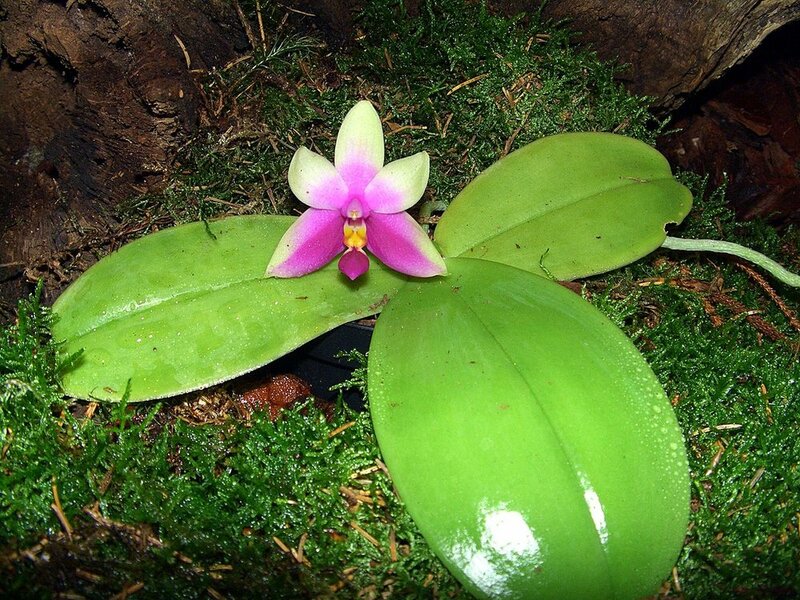 This lovely little plant is quite restricted in its range. You will only find it growing naturally in a small region around Gibraltar where it is restricted to rich, clay and/or rocky soils. During years when it is not in flower, N. viridiflorus produces spindly, rush-like leaves. As such, it can be hard to find. When Narcissus viridiflorus does decide to flower, it forgoes leaf production. From the bulb arises a single green scape. From that scape emerges the flower. The flowers of this bizarre daffodil are decidedly not very daffodil-like. They are rather reduced in form, with long, slender green petals and a nearly nonexistent daffodil cone. Also, they are green. Though I have not seen this investigated directly, it has been suggested that the green scape and flowers contain enough chlorophyll that they plant can recoup at least some of the energy involved in producing flowers and eventually seed. The flowers themselves open at night and are said to be very fragrant. 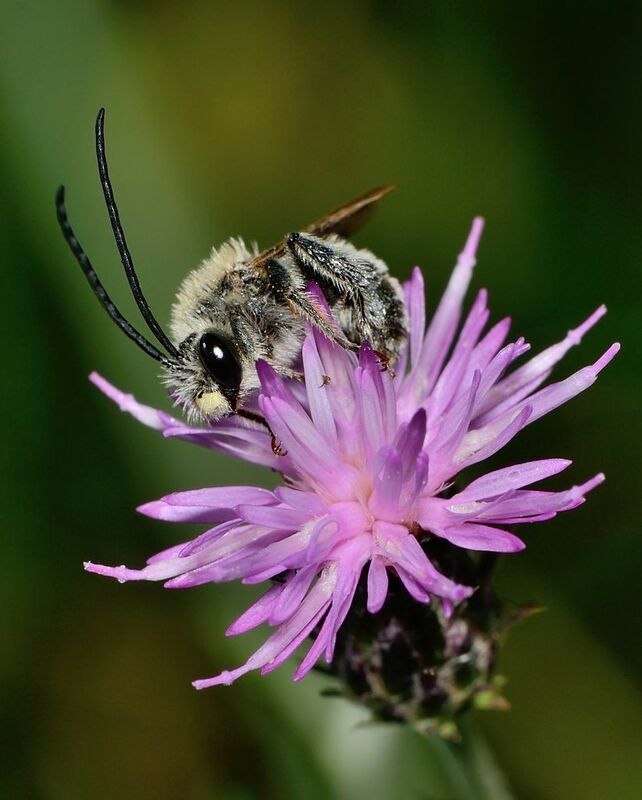 Again, no data exists on who exactly pollinates this species but the timing, color, and smell all suggest nocturnal insects like moths. Like the other daffodils of this region, Narcissus viridiflorus is poorly understood. Taken in combination with its limited distribution one can easily see how such a species may be quite vulnerable to human disturbance. As it stands now, this species and many of its cousins are no more than horticultural curiosities for more niche bulb societies. In other words, Narcissus viridiflorus is in need of some real attention.